Who needs a Visa to travel to Australia? All travellers except New Zealand citizens and Australian citizens (holding an Australian passport). 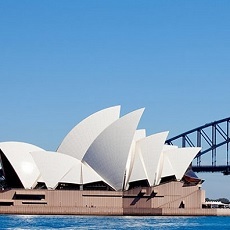 Permanent residents of Australia require a Resident return Visa (RRV). Business purposes (attend meetings, Expo, Exhibition, Conference). This visa is valid for either 3, 6 or 12 months depending on a number of factors. To get the 12 month visa, the applicant must provide evidence that they are a genuine visitor and will return to their country at the end of their visit. In addition, a Visitor from the People's Republic of China may apply for the Frequent Traveller stream, which allows the visitor visa to be granted for up to 10 years. The working holiday makers must be aged between 18 and 30 years from an eligible country (UK, Sweden, France, Denmark, Italy, Japan, Netherlands, and others). You must genuinely intend to have a holiday in Australia and only do work incidental to the holiday. You must have sufficient funds for a return ticket andnto support themselves upon arrival in Australia. (Evidence of funds required). The visa is valid for a stay of 12 months in Australia and you can not work for more than 6 months with one employer. You are also eligible to study for up to 4 months. You can apply for a Second year Working holiday visa, if you have completed 3 months or more 'specified work', while on your first working holiday visa. Specified work is work undertaken in a regional area of Australia, in the following industries: plant and animal cultivation, fishing and pearling, tree farming and felling, mining and construction. You must be aged between 18 and 30 years of age, and encourages cultural exchange and closer ties between Australia and eligible countries (United States, Argentina, Chile, China, Spain, Thailand, Vietnam, and others). The visa is intended for young people, such as backpackers, who wish to travel around Australia for a holiday and supplement their holiday with temp or casual work (6 months maximum work duration for one employer). If you have worked in Australia in 'specified work' ina regional area for 3 months or longer during your 1st work and holiday visa then you can apply for a 2nd work and holiday visa. 2. To donate an organ in Australia. You cannot apply for this visa to have medical treatment for surrogate motherhood. 3. To accompany and support someone who is a patient needing medical treatment. You must genuinely intend to leave Australia after treatment. Medical arrangements have been organised, and payment for the treatment has been made. You have sufficient funds for the trip and treatment. You have had a specialist medical examination and an x-ray for tuberculosis.